Although hip replacement recalls may prevent future patients from receiving a faulty device, thousands of individuals may have already been injured by the time it’s taken off the market. Thousands of lawsuits have already been filed in the U.S. by individuals who allege complications associated with premature device failure of a hip replacement they claim to have been designed defectively. 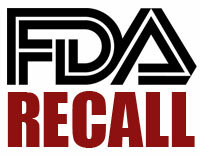 The U.S. Food and Drug Administration (FDA) is responsible for testing these products for safety and effectiveness before they enter the market, but hip replacement recalls are still issued often. Many metal-on-metal hip replacements today were approved through the agency’s 510(k) process, which allows a product to bypass clinical human testing if its manufacturer can prove it to be substantially equivalent to one already on the market. The DePuy ASR hip recall occurred in August 2010, and involved the Johnson & Johnson subsidiary’s Articular Surface Replacement (ASR) Acetabular Hip System and ASR Hip Resurfacing System. Comprised of metal-on-metal components, these devices was taken off the market a year before the National Joint Registry of England and Wales reported that early device failure occurred in 29 percent of patients who received it within six years. Conversely, the September 2011 research found that all-metal hip replacements failed 9.5 percent of the time. According to thousands of ASR lawsuits now filed against DePuy, the hip has been associated with chronic pain, premature hip failure, symptoms related to metal ion poisoning (metallosis), and other complications. Johnson & Johnson and DePuy proposed an ASR settlement in November 2013 that could resolve claims involving recipients who had the hip removed and replaced prior to August 31, 2013. These claimants may receive a base award of $250,000, depending on prior medical history and other factors. Stryker Orthopaedics issued a voluntary recall of its Rejuvenate and ABG II hip replacements in July 2012, after company data showed their potential to fret and corrode at the modular-neck junction. Following the recall, Stryker recommended on its website that all device recipients seek routine blood testing and cross-sectional imaging to monitor for signs that their hip may be failing. Patients who may or may not be experiencing pain and swelling, loosening of the implant and other premature device failure symptoms are advised to seek medical attention, Stryker stressed, since complications associated with metallosis were shown to occur in patients who were not experiencing symptoms. As of July 2014, more than 2,000 Stryker Rejuvenate lawsuits had been filed in a state litigation established in New Jersey’s Bergen County Superior Court. Despite no announcement of a Biomet M2a hip recall, the British manufacturer is preparing to defend thousands of lawsuits over the metal hip replacement. The majority of these cases may be resolved through a proposed company settlement in February 2014. According to plaintiffs, use of the Biomet M2a Magnum hip replacement may result in pseudotumor formation, chronic pain, metallosis and other complications. If the agreement is accepted by 90 percent of plaintiffs, hip recipients who underwent revision surgery of the device within 180 days of implantation would be eligible to receive a base award up to $200,000. Numerous lawsuits against Wright Medical Technology have now been filed by people who received the Conserve or Profemur hip devices. These implants are designed similarly to those affected by the DePuy hip recall, and are currently being investigated into whether they cause similar patient side effects. Lawsuits over the Wright Conserve hip implant have been centralized in a federal multidistrict litigation established in the U.S. District Court, Northern District of Georgia.